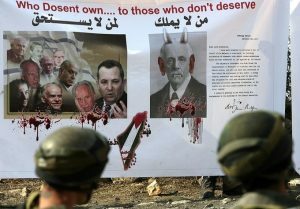 Britain has ruled out any apology for the Balfour declaration that helped pave the way to the state of Israel, prompting Palestinian leaders to say they would pursue international court action unless London backtracked. Palestinian President Mahmoud Abbas called for the apology in an address to the UN General Assembly in September, but the UK plans to hold celebrations along with Israeli officials to mark the 2 November centenary of the declaration. The Balfour declaration is an historic statement and one that the UK government will not be apologising for. On Tuesday, a spokesman for Britain’s Foreign Office told Middle East Eye: “The Balfour declaration is an historic statement and one that the UK government will not be apologising for. “We recognise the sensitivities many people have about the declaration and the events that have taken place in the region since 1917, and so the UK government will be marking the centenary in an appropriate and balanced manner. The statement came hours after the Palestinian ambassador to Britain, Manuel Hassassian, said he had received a letter confirming the British position. “The answer came in a written letter to the (Palestinian) foreign ministry that the apology is refused,” he said. In the 1917 declaration, the British government said it viewed “with favour the establishment in Palestine of a national home for the Jewish people”. It also said “nothing shall be done which may prejudice the civil and religious rights of existing non-Jewish communities in Palestine”. 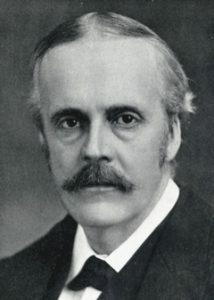 Palestine was under British rule when foreign secretary Arthur Balfour (pictured) made the policy statement in a letter to Lord Rothschild, a leader of the British Jewish community. Hassassian said that unless Britain apologised, cancelled planned celebrations and recognised the state of Palestine, the Palestinians would go ahead with plans for a lawsuit. “This is the only condition upon which we can close this file permanently,” he said. Israel declared independence in 1948, at the end of British mandatory rule and after the UN General Assembly voted in 1947 in favour of a plan, rejected by Palestinian representatives, to partition Palestine into a Palestinian state and a Jewish state. Israel captured the West Bank, Gaza Strip and East Jerusalem in the 1967 Middle East war, territories where Palestinians now seek to establish an independent state. The last round of Palestinian-Israeli peace negotiations collapsed in 2014.